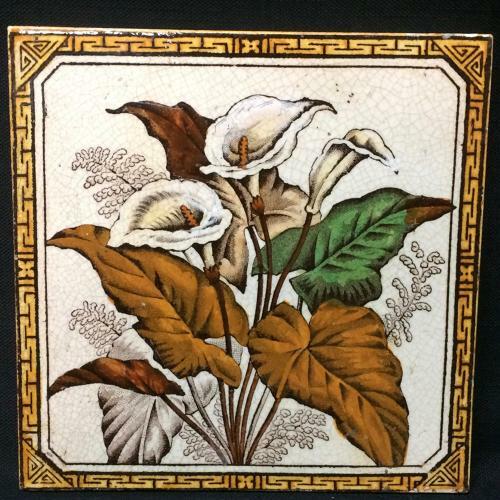 This large Victorian aesthetic 6 " x 6 "tile is transfer printed in dark brown with hand painting under glaze in deep shades of green, brown and golden yellow. The pattern features wonderful geometric designs along the border and a central image of an exciting blooming Calla Lily in all its glory. Interesting heart shaped foliage. The piece is in great condition.